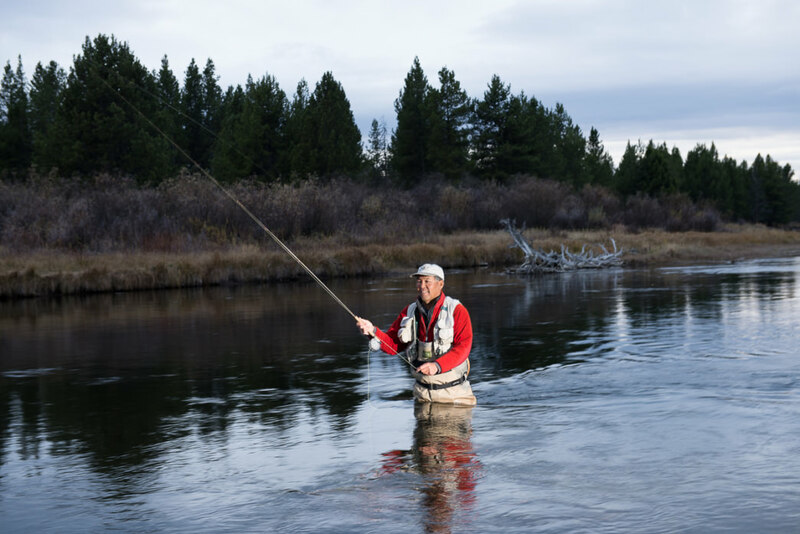 For fly anglers around the globe, the very idea of West Yellowstone conjures up images of mountain streams, lush meadows with winding rivers, and trophy-size wild trout. It’s hard to page through any fly-fishing publication without seeing mention and photographs of the region, and for good reason—West Yellowstone is bordered by top blue-ribbon trout streams in nearly every direction. For Bob Jacklin, the thought of getting to fly fish in this pristine part of the country changed the course of his life. "I read a story about fishing in Yellowstone," says Jacklin, who grew up in New Jersey where he learned to fly fish. “And I thought, that’s what I want to do.” He saved his money while serving in the military, and when his enlistment was up he headed straight to West Yellowstone. The Madison River offers anglers a variety of options for fly fishing. 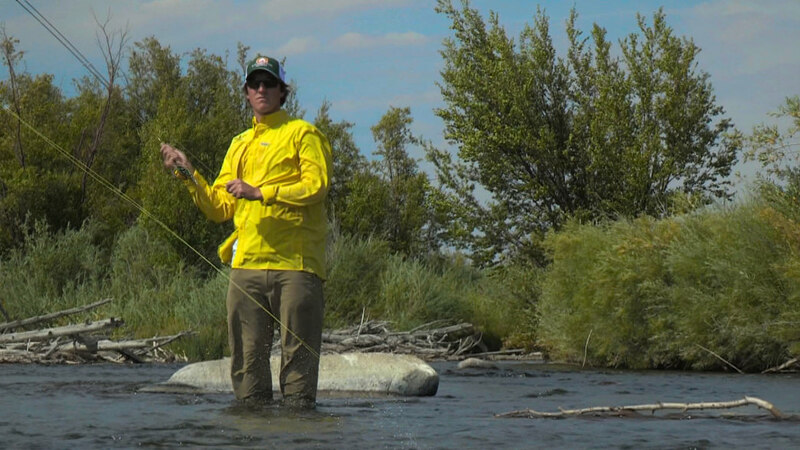 One of the iconic southwest Montana waterways, the Madison River is West Yellowstone’s most popular fishery. Certain sections are closed seasonally (check regulations before you go), but thanks to easy access of Highway 287, walk-and-wade fishing is popular. Many locals favor the stretch between Hebgen Lake and Quake Lake; winter fishing with streamers is particularly productive here for the cold-hearty! Many anglers time their trip around the famed salmon fly hatch, which typically occurs during the month of July. The most classic way to fish the Upper Madison is via a day-long drift boat trip, and most West Yellowstone guides are well-versed in the various sections of the river. For adventurous fishermen, guide services also offer combo trips that combine whitewater rafting with fly fishing on the Madison, particularly through the Bear Trap Canyon Wilderness Area. It’s impossible to mention West Yellowstone fly fishing without bringing up Baker’s Hole. Home to a campground located on the Madison River, Baker’s Hole is a mere 3.2 miles north of downtown, and it offers a broad, lazy bend perfect for classic Western trout fishing. Thanks to its fame in fly-fishing circles the access fills quickly, so plan to arrive early or stay late. For first-time visitors to the area this is a must-fish location. Hebgen Lake provides easy-access fishing opportunities, including boat rentals. 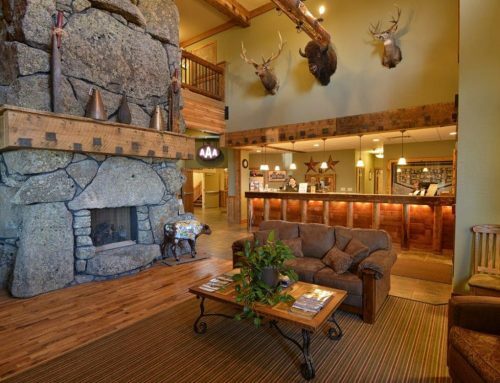 Keen to fish, but don’t want to drive far from the comforts of West Yellowstone? 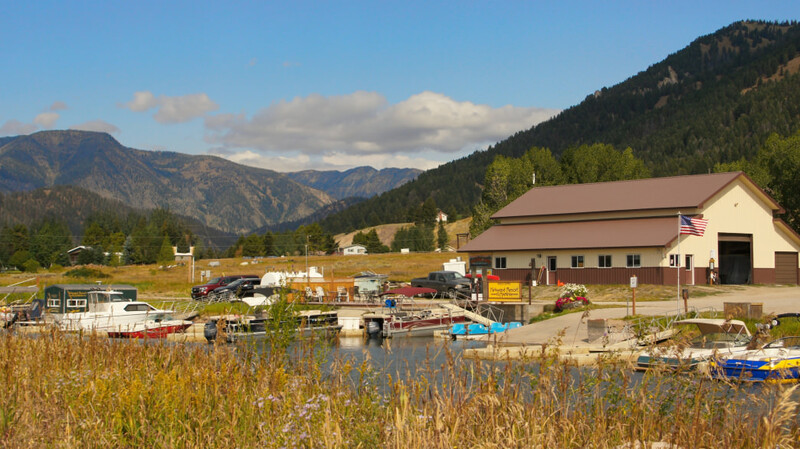 A 15-minute drive just north of town, Hebgen Lake provides easy-access fishing opportunities, including boat rentals. Many anglers travel to Hebgen for the infamous "gulper" fishing—large, healthy trout rising to dry flies as they cruise along. Gulper fishing is most productive through July and August when then Trico and Callibaetis hatches occur. Thanks to its strong population of rainbow and brown trout, Hebgen is a fun, relaxing fishery where families can enjoy a day on the lake. The Gallatin River winds northward from its inception in Yellowstone toward the town of Bozeman. 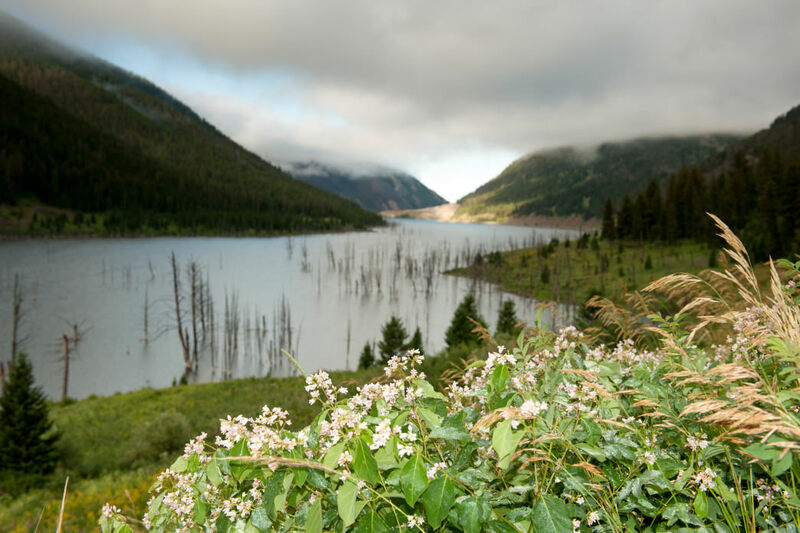 Between the Park border and the resort town of Big Sky, the river meanders through mountain meadows, offering enticing pool fishing for moderately sized trout, primarily rainbows. (Much of this section is in a northern section of Yellowstone National Park, so be aware an additional Yellowstone fishing license is required.) Fishing becomes stronger in the canyon section of the Gallatin, between Big Sky and the Gallatin Valley—estimated fish counts in this section are 4,000 fish per river mile. The river fishes well through all seasons, with nymphing and small streamers a popular choice in the cooler months, and classic dry flies in the warmer days. In the late summer drift terrestrials by grassy, undercut banks and prepare for action. 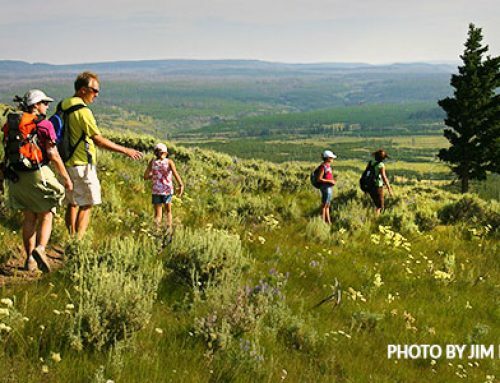 Part of West Yellowstone’s charm is its proximity to some of Yellowstone’s best fly fishing. A short drive into the park reveals a multitude of waterways, including the Firehole, Gibbon, and Madison Rivers. Acquire the required national park fishing license, pack a lunch, and prepare for a truly unique day of fishing. Yellowstone’s rivers support a healthy population of trout, including rainbow, brown, and Yellowstone cutthroat, and the experience of catching a trout in America’s first national park is one you won’t soon forget. Quake Lake was formed in 1959 when a large earthquake caused a massive landslide. If you’re looking for something a little bit different, head to Quake Lake, just 25 miles northwest of West Yellowstone. The lake was formed in 1959 when a large earthquake caused a massive landslide, blocking the Madison River and eventually forming the lake. It’s now filled with downed trees and other structure, offering ideal habitat for trout and unique—almost eerie—conditions. Fish a dry fly around the dead standing timber during summer evenings for impressive dry fly action. Regardless of what waterway you plan to explore during your stay in West Yellowstone, consider hiring a guide for your first few days to learn what water is fishing well and what flies are working. Fishing with a guide takes much of the work out of the experience, allowing you to just kick back, relax, and focus on the fishing. The scenery surrounding West Yellowstone’s trophy rivers is breathtaking, so take full advantage of the opportunity to look up between casts and soak it all in. Talk to experts: The best spots to fish—and what’s working to catch them—changes throughout the year. Stop by a fly fishing shop, hire a guide, or go with an experienced angler to help you get the most out of your experience. Take a casting lesson: Your first time on the water is more enjoyable if you know what you’re doing. Local casting classes are available to teach you the technique so you’re ready to go once you hit the water. Know your insects: Once you learn the basics, knowing what fish eat and when they do so will make a big difference in your success. Each species of insects has a different time for hatching, so read up to understand more about what the fish will be eating when you’re visiting West Yellowstone. Be prepared: Learn about which fishing licenses are needed for your trip and purchase them in advance. 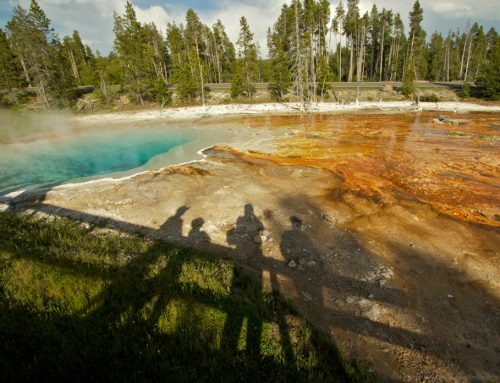 If you’re finishing in Yellowstone, it has its own set of regulations and permit requirements. Have everything you need for a day in the outdoors, including rain gear, sunblock, food, water, insect repellent, and bear spray. 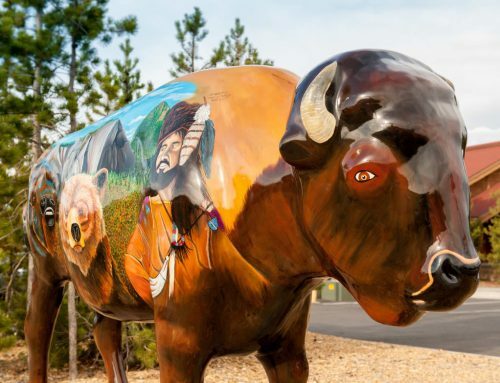 Featured image provided by West Yellowstone Chamber. Dobson Ent. Inc.